We have told how to enable PIN on WhatsApp Messenger at our past posts. This is very good feature about privacy of your conversation on Android tablets and phones. Especially if you there are people who are using your phone around of you. However if anyone knows your PIN, it means it is time to change your PIN code on the app. PIN code is a secret which secures your privacy and if someone knows it, it is no more secret at the moment. 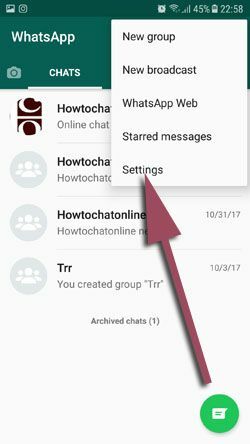 We are going to tell you how to change PIN on WhatsApp Messenger on this tutorial. If you have any question in your mind, please feel free to ask us. We are going to respond you as soon as possible. 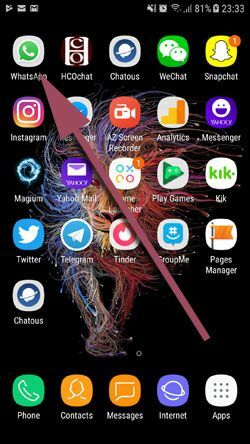 If you are seeking the same information for iOS devices, please click here to learn how to change WhatsApp PIN on iPhone. 1-) Run WhatsApp Messenger on your phone or tablet. 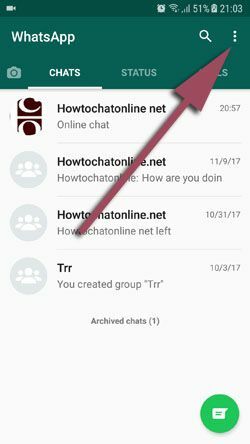 2-) First please ensure that you are at “Chats” tab on the app and then tap on “three dots menu” of the application. You can see it at the picture below. 3-) Tap “Settings” on the menu. 4-) Tap “Account” on the settings page. It is the top of the page already. 5-) Tap “Two-step verification” on the account page. 6-) Tap “Change PIN” on the menu. 7-) Enter 6 digit as your PIN again and then enter again to confirm it. That’s all. You have changed WhatsApp PIN now. You can always let us know about your questions on changing PIN. Please note that, if you forgot your PIN and if you didn’t set any e-mail address to recover it, you will need wait some time. Please do not forget to add an email address for two step verification service. If you ever forget your PIN and if you haven’t added an email, that can cause serious troubles to you. Also See: WhatsApp Images Deleted Automatically on Its Own, How to Recover?